Recently, I have been researching the plight of our bees and the ways in which people have been trying to help them. Via The Naked Scientists podcasts I have discovered that people are trying to help bees by planting bee friendly plants and wildflowers in the place of grass, which has taken over much of our open spaces. In addition, urban beekeeping is seeing a boom, particularly in the city of London. Although, the London Beekeepers Association is warning that there are potentially too many bees in the city of London and not enough plants for them to feed on. I feel that these (bee-friendly planting & urban beekeeping) are two areas, which I will look to focus on further in report. Referencing, the bane of every essay-writing student. I’ve always taken the viewpoint that it’s not really worth the hassle not to reference properly. It can impact your marks majorly and it’s not particularly difficult to do, especially when we have ‘Quote, Unquote’, the handy book provided by Skills for Learning. I understand how important it is, and how it can bring down an entire essay if even the slightest things are correct. This is another one of those areas, which we tend to have drilled into our brains every single year. I am fairly indifferent to the whole process as it is just one of those things that needs to be done. I’m fairly confident in how to reference via Harvard, but I always tackle my list of references at the end with ‘Quote, Unquote’ to make sure things are done right. The University has strict guidelines on what we need to inform the University of when working on projects. This is so that high levels of practice are maintained, ensuring public confidence in the University, as well as the safeguarding of all involved participants. What this translates as for my project is filling in both, a stage one, and stage two risk checklist and application form. This is due to the fact that I will be interacting with members of the general public and operating in various situations where risks may be present. By filling out these forms, I have been made to consider my project in greater detail than I otherwise would have. This can only help in further preparing me for the tasks I have coming up later in the project. When writing an essay it is important to be able to back up everything that you are writing. Today in class we worked through a piece of writing, which was an example of exactly how not to write a piece of academic writing. The text was riddled with spelling and grammatical errors, as well as being badly worded, opinion-based and unreferenced. By working through the text, we were able to highlight exactly what to do, and what not to do when writing our own reports. What I will take away from this session is how important background reading and accurate referencing is. Any idea, which is not my own should always be referenced, no matter how differently worded it may be. I feel that I gained a lot from this small task as it opened my eyes to some things I would not have otherwise thought considered. To create a plan of our workflow and manage our time effectively, we have been advised to learn the ropes of Microsoft Project – an incredibly detailed project planner, which can be used to plan out what, when and where you have to do throughout a project. I had never used, or even heard of, MS Project before, but at first sight thought it would be similar to MS Excel in the way that it worked. I was wrong. MS Project is a whole different kettle of fish designed for a very specific purpose. We were provided with a number of tutorials to work through, so that we could effectively get to grips with how the program works and get the best out of it for our purpose. I, however, decided that with what prior knowledge I have of MS programs, I would work backwards and figure out exactly how I wanted to plan out my project and then figure out how to do it as needed. I did this with a bit of googling and a lot of skimming the tutorials, but I no doubt saved a lot of time and came up with a plan that I am happy with. I feel that I got to grips with the program well, avoiding any major headaches (just the one with events re-dating themselves) and even used some of its more advanced features with a bit of trial and error. 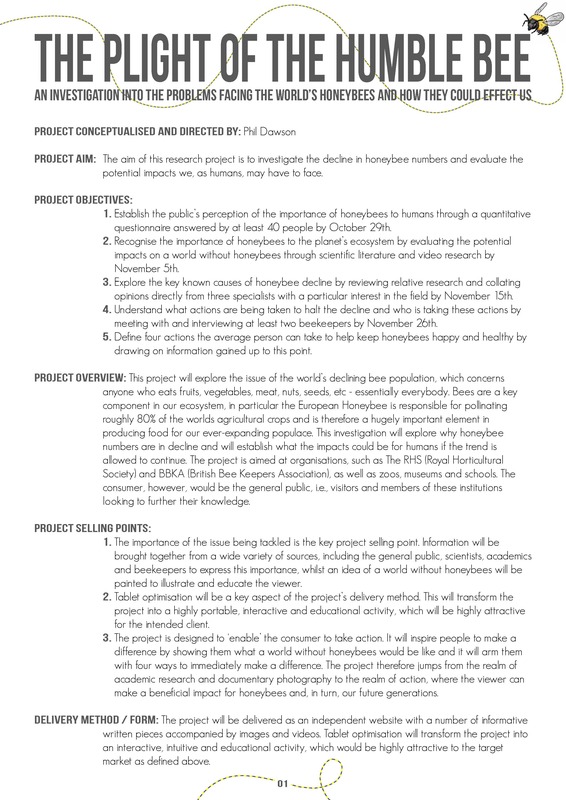 Below, you can see my finished plan using MS Project (via gantter). Utilising the University resources at our disposal has been the subject this week, and we were given a talk by Barbara Price from the University. The main areas she covered were the Library, online services (Discover, Library Online), Skills for Learning and the employability aids available to us, such as CV / portfolio reviewing and help with gaining employment or work experience. Despite having been given the same talk in ever year of University, I appreciate Barbara’s time and help. The session was a good reminder of what options are available to me for my research and I will definitely be taking advantage of the Library and online resources. Areas I feel particularly pertain to my way of working are Skills for Learning, which offers info on referencing correctly via ‘Quote, Unquote’ and guides on essay, and reflective, writing, as well as Discover and the many journals we have access to. After much deliberation over the three subject areas I am interested in, I have come to a decision on which I will be taking forward as my final project. I have chosen ‘The Plight of The Humble Bee’ due to the potential of the subject. I will have the option to pursue macro photography, portraiture, documentary photography and use a variety of media to capture the project. The potential risk of having very few bees to photograph (due to them staying inside their hives over winter) will have to be dealt with through a bit of creative problem solving. The project offers a greater opportunity to learn about the subject area and make a potentially valuable learning resource for the general public. Despite feeling very unsure on which topic I should choose due to a variety of concerns, I am now happy after speaking to Alison about the issues. We are both confident that I will be able to produce a unique project on an interesting subject area, which has a serious matter at its focus. We’re back in class for the new year and we’re starting by looking at what we will be tackling in Project Research & Plan. Essentially this module will be where we perform all necessary research and planning for our final year project. After Christmas two modules (Implementation and Evaluation) will follow on from this and they will depend entirely on all the work we have done here. In today’s class we’ve looked at how the module will be structured and assessed, and the deliverables we will be required to submit to gain credit. 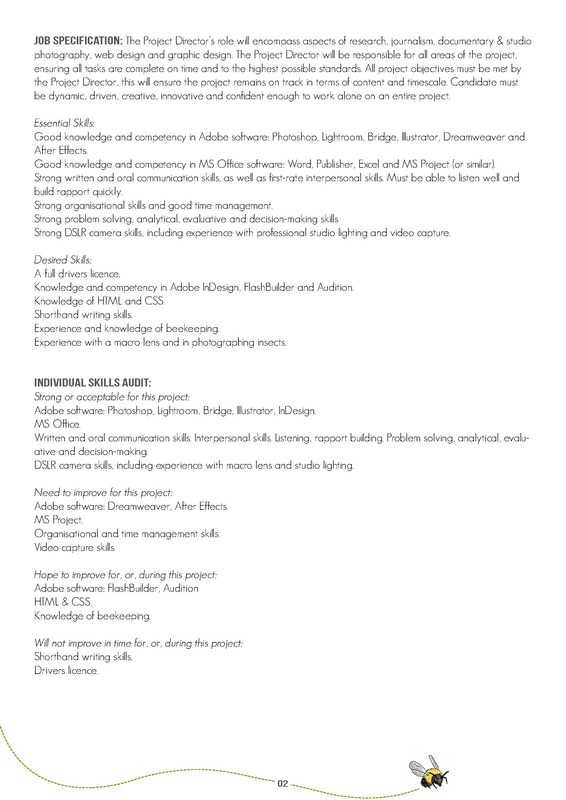 We are required to produce an extensive journalistic project containing photographs and text, which looks at a particular subject/topic and must be presented as a product (magazine or newspaper feature, interactive multimedia piece, digital publication piece or portfolio of smaller articles) for a particular client or target market.